Worried about predators, both strangers and those you might know? 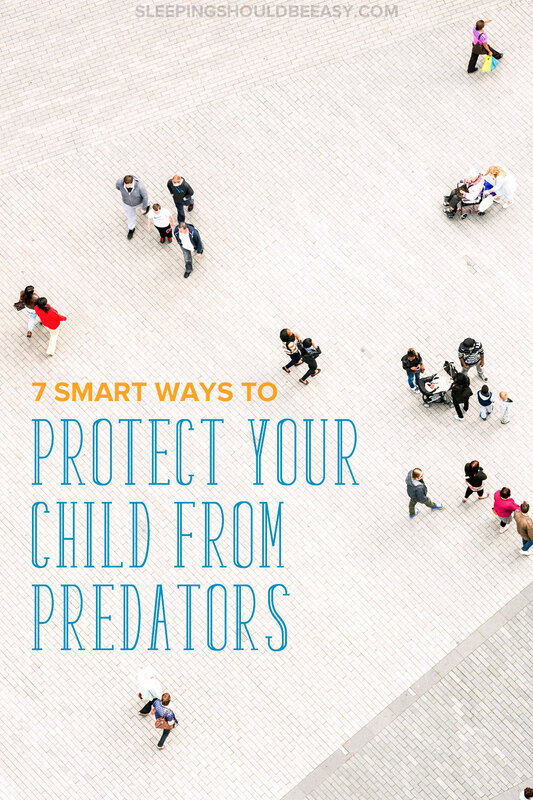 Here are 7 smart ways to protect your child from predators. Now we know better, as that advice isn’t always so effective. For one thing, 90% of child sexual abusers are people we know and trust. Second, not all strangers are terrible. When kids are lost, they may have to rely on a stranger’s concern and kindness. And it isn’t one warning, a “big talk.” Instead, it’s a constant and evolving conversation. That toddler is now a four-year-old, a child better able to follow directions. How can I continue this conversation about safety now that he’s aware but still young? Read questions you need to ask your child to keep him safe. I’ve been practicing this with my son, pointing out what employees look like. I describe telltale signs such as name tags and uniforms. I describe where they’re located or what they do. “Talk to the people who sell the fruits and vegetables,” I tell him when we go to the farmers market. I also tell him that if he can’t find an employee, his next best bet is someone who looks like a mom. He should be more discerning about whom he should ask for help. Another reason “Don’t talk to strangers!” doesn’t always work is because these creepy strangers we’ve painted aren’t your typical predators. They’re friendly, approachable, and trustworthy. They look like they know what they’re doing, and they’ll work to warm kids up to them. Tell your child to stay in the same place without wandering. I tell my son if anyone claims to be a friend of ours saying he’ll take him to find us is not a friend. All he has to say is, “I’m staying put.” If the man is a concerned adult, he’ll notify an employee or even wait with a child for his parents to pick him up. Not take him someplace else. A few months ago I threw my husband a surprise birthday party. I didn’t mention anything about secrets, because we don’t keep any. We talked about surprises instead. I said my husband has no idea, but nothing about keeping things secret. Why the hush-hush about secrets? Predators tell children to keep secrets, as if this is a special bond between him and the child. Or he may encourage the child to keep a secret to protect his parents’ feelings, or to not disappoint them. Encourage relationships where kids’ actions don’t define them nor how much you love them. I like to tell my kids I love them no matter what and give the reasons: I love you even if you’re throwing a tantrum and even when you’re upset at me. I love you when you’re sleeping. And I love you all the time for who you are. Should any person try to convince him to keep a secret because his parents won’t love him if he doesn’t will sound untrue. Read more about why you need to tell your kids you love them no matter what. No one wants to be paranoid, especially around the people you love and trust. Still, your kids should know what’s appropriate behavior and what’s not. Predators don’t usually pounce on a child—they work their way up, they groom, they earn trust. And they test the waters. I’m confident no one’s preying on my kids, but cutting behavior I’m not comfortable shows what’s okay and not. Should anything seem out of the ordinary, they know better than to assume it’s normal. Make sure lines aren’t crossed. Certain people have a role in our lives. That’s why teachers shouldn’t be lavishing kids with gifts. Or relatives and family friends shouldn’t be too generous with their physical affections. And kids don’t have to hug everyone. It’s important to let kids know about their private parts and not letting anyone touch them there. But predators start slow. They might offer a massage, or kiss them on the lips, or hang out alone in a separate room. A ton of this is cultural, of course. But knowing your family, put your foot down on behavior you wouldn’t want your kids to assume is normal. Read 3 compelling reasons kids don’t have to hug everyone. “I want privacy,” my four-year-old will say. This could be anything from using the bathroom to writing on his worksheets. And we honor each of his requests. We’ve also been teaching him how to bathe and clean up after himself as much as possible. We want to send the message that he’s boss of his body. After all, we’re establishing boundaries. We’re saying we won’t hover over you even when you ask us not to. Should anyone try to invade his privacy and personal space, he’ll know something is off. I’ve long been a fan of apologizing to our kids. Doing so not only respects our kids but shows them how fallible we are as well. We’re not always right. It’s okay for kids to say ‘no’ to adults when they believe in something. Let’s say an adult tries to sway them to do something they’re not comfortable with. I’d rather kids trust their gut, even if it means going against authority. And I reiterate to my son that should anyone cross the line, to tell me no matter what. Read the importance of apologizing to our kids. How did I start thinking about this topic again? First, Katie McLaughlin mentioned disturbing statistics about sexual abuse. I will never know the person I would have been. In a way that person died when I was 7 years old. How much differently would I have turned out if I could have continued a blissfully innocent childhood? If years of my childhood hadn’t been dedicated to keeping a secret and worrying constantly? Thinking back to that sad, anxious little girl who spent night after night for years pacing the upstairs hallway, waiting for the perfect moment to share that painful, horrible, ugly secret… it just makes me sad for her. My heart breaks for her. The image of that little girl pacing the hallway, trying to work up the nerve to tell her parents a terrible truth. No child should ever go through that. We can’t protect our kids from everything. Even the worst things happen to the kindest and most vigilant people. Still, you can develop habits that make it difficult for others to harm him. Things to lessen those chances, and swift action should any need to be taken. The best advice Vanessa suggested? Don’t have just one big “talk.” This isn’t a one-time conversation you have with your kids and you’re done. No, it’s an ongoing conversation. One that starts before your child can talk or understand what you’re saying. It means respecting their bodies and boundaries. Listening. Watching our reactions. Setting expectations. And less children will pace hallways, wondering whether to reveal an ugly truth or not. Your turn: What are some other ways to protect your child from predators, both strangers and those we know? Share your suggestions in the comments. This is great advice. I would add to set aside time to check in with your child on a daily basis so that they have opportunities to talk about concerns or fears. Ah yes good reminder MaryAnne. 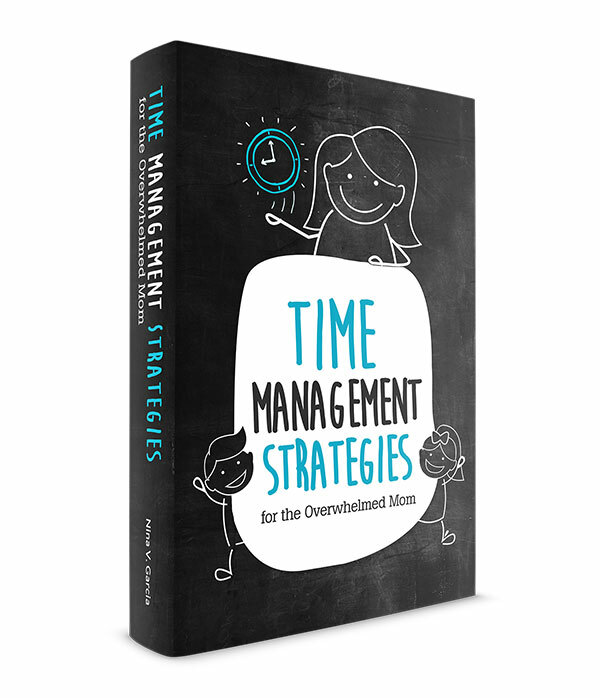 This is especially crucial for families always on the go or scrambling for time. One of the benefits of carving in those few minutes of downtime with no agenda or deadline to meet. This is a great list. So important. Sharing this. Such an important topic to discuss. Since my son is getting older I’ve made it at point to really be in tune with his reactions and emotions to things , especially when he starts a new activity with different adults. I’m slightly paranoid but if he starts acting differently, I start asking questions. No red flags yet but I’m always on guard. Good point about staying in tune with changes Jenny, and especially when they enter new experiences and meet new people. Those are tell-tale signs right there. I will be sharing this post far and wide, as I believe every parent should read it. I’m glad my post was part of what spurred you to write this! The secrets one is huge. Almost every horror story I hear involves a child being told to keep a secret. Thanks so much, Katie. Yes that post of yours reminded me what I’ve been doing new since that first post I wrote when my eldest was still a toddler. So thank you for that. Great point Vanessa. Your caregivers not only should be trustworthy but should follow the same rules and procedures you would. And ideally they would know your kids too, so that if they see him uncomfortable, they know better than to keep pressuring him to hold hands. I absolutely have no problem being the weird one that will step in on her kids’ behalf. I’m not paranoid by far, but I also have to be my kids’ advocate. And thanks so much for the shares, Vanessa. Much appreciated! This stuff is so scary but I know it’s really important. We’ve been talking a lot about privacy and respecting when others say no/being respected when you say no, but I hadn’t thought about pointing out how to find an employee — that’s a good idea. This is a topic that hits very close to home. This post is very well thought out, pointing out employees? Brilliant. But you’re right in stating the facts, most times abusers are someone seemingly trustworthy and familiar. Giving children a voice is incredibly powerful. When they speak, LISTEN. When they don’t speak, listen. Right? The few cases I know personally were cases where the abuser was someone the family trusted. It’s so sad to think of it that way. I’m not one to put my defenses up 100% and bock out everyone in my life, but it just makes it so sad to think that in nearly all the cases, abusers are someone the family knows. But yes, one of the best ways to combat this is to listen to kids. Don’t make it hush hush, no matter who the abuser is or how making it known will rock the family’s world. I have been MIA in the blogging world for the past week or so, so I am just now catching up on some of my favorite blogs. I appreciate this post so much, and I am particularly honored that you quoted part of my own personal story. Reading your past post on the topic as well as Katie’s motivated me to write my truth a few months back. If even one parent puts just one of these tips into practice, it was well worth it for all of us to write on the topic. I read your employee tip and was amazed. How have I not thought of that before? Brilliant! How cute that your 4yo has been asking those questions. Mine has too, or he’ll say, “We love each other even when we’re apart,” or “…even when we’re sleeping.” It’s like their reassurances that love doesn’t run out or is unconditional. Your absolutely right that this is an ongoing conversation and must change as the kids’ understanding and age change. I like your habit of pointing out employees in uniforms and badges. I’d also remind my son to look for someone who looks like a police officer. I also remind him to stay put, and especially not to wander outside to the parking lot. (I’ve lost him in Target once) Good advice also to not just say strangers are bad. And the secrets one, good call! Lastly, allowing our kids to tell us anything and everything. When my son admits to doing something wrong, sure I get mad, but I also try to remind him that I love him and I’m glad he told me what he did wrong. Hopefully I keep that line of communication always open. Oh yeah, good tip on pointing out police officers. And especially about staying put. We have this Sesame Street book called Ernie Gets Lost where Maria tells him to stay put and he doesn’t. It was a good book to open up discussions about getting lost and what to do. I can’t imagine losing my kid at Target. So glad you survived that! I swear sometimes I lose sight of my kid for three seconds and my heart is already racing. And yeah, it’s all about our reactions. I’d have for my kids to withhold anything because they’re afraid of how I’ll react (worried, angry, disappointed, etc). I love ALMOST everything about this post. The content is excellent and definitely worth sharing. But, I think the title is going for the shock value more than what the guts of this post is about. How about: 7 Smart Ways to Raise an Assertive Child. It’s not just predators that we want our children to be wary of. Don’t we want our children to question any person that makes them feel weird – like the peer who asks my child to smoke a cigarette, the older kid who asks my child to steal something for him; AND the aunt/teacher/friend who asks my child to undress? So many of the points you raise in this post can also help our children make good decisions regardless of how the situation is inappropriate. Thanks for the feedback, Nilsa! I always like hearing how I can improve my blog posts. I actually have a post about how to raise an assertive child lol. That post deals mostly with peers and social conflicts. This post was specifically about predators, including both strangers as well as trusted adults (like teachers and relatives) and how kids can help establish boundaries and know when something is off. Still, good to know the title didn’t work for you. I’m always open to feedback! As a new parent, I am terrified of this happening to my child. May I ask how you go about choosing babysitters? My daughter is 2 1/2 and I have yet to leave her with anyone to go out on a date with my husband, run errands, etc. I just can’t seem to bring myself even with close friends, and we don’t live near family that we’d trust. I keep telling myself that I want to wait until she’s old to enough to clearly communicate with me. I’m afraid that if something happened, she wouldn’t have the words or understanding to tell me. Anybody else struggle with this? What precautions do you take with your kids when employing sitters, nannies, etc.? I hear you, Haley. I can count three people who took care of my kids their entire life before we eventually hired a nanny: my mom, my husband’s mom and my aunt. Even surrounded with a zillion family members, I only had them take care of my eldest. Eventually, we hired a nanny to care for our twins when they were five months old (my eldest was already in preschool by that point). It was strange because she was someone we absolutely didn’t know. What reassured me though were the background checks and calling her referrals. Her past employers gave glowing reviews. You can also get a copy of their ID and any other identification like a license plate number (with her permission of course). And of course your “gut” feeling. I interviewed several nannies and the one we chose just seemed right compared to the others. Not that I thought the others would necessarily harm my kids, but the one we hired just seemed right. I love your question though and would love to post it on the Facebook page to see what others have done. It’s definitely something I struggled with, but since I had no option but to hire a nanny, we ended up going that route. When I teach a group of kids street safety I ask them to yell in their loudest voice “You’re not my mom, you’re not my dad…I shouldn’t be with you” if someone they don’t know tries to take them somewhere. If I know the child lives in a different situation then I teach them to use whatever name they use for their caregiver…or guardian.